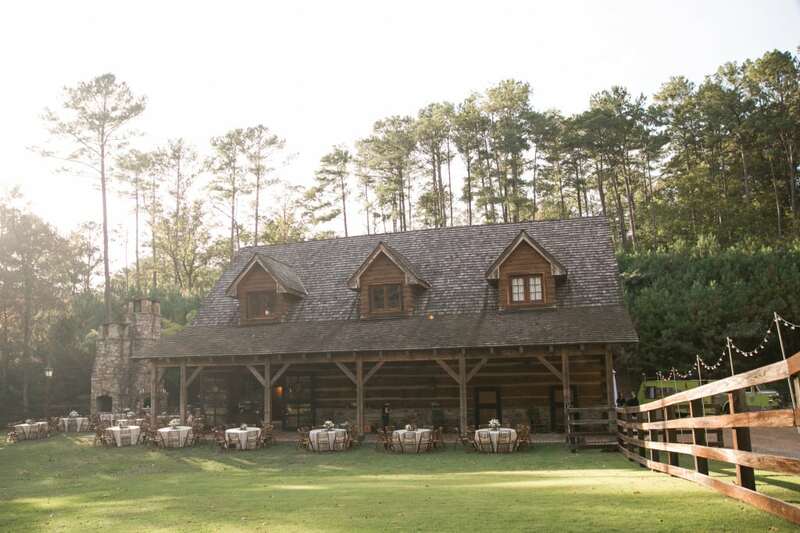 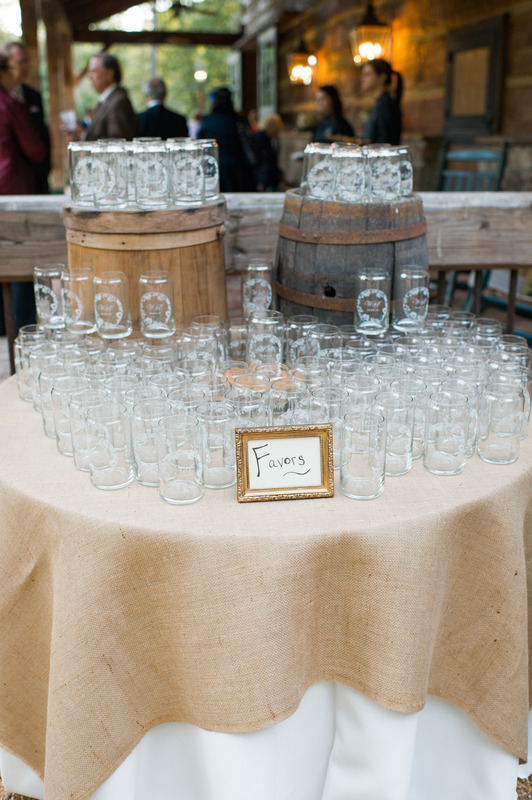 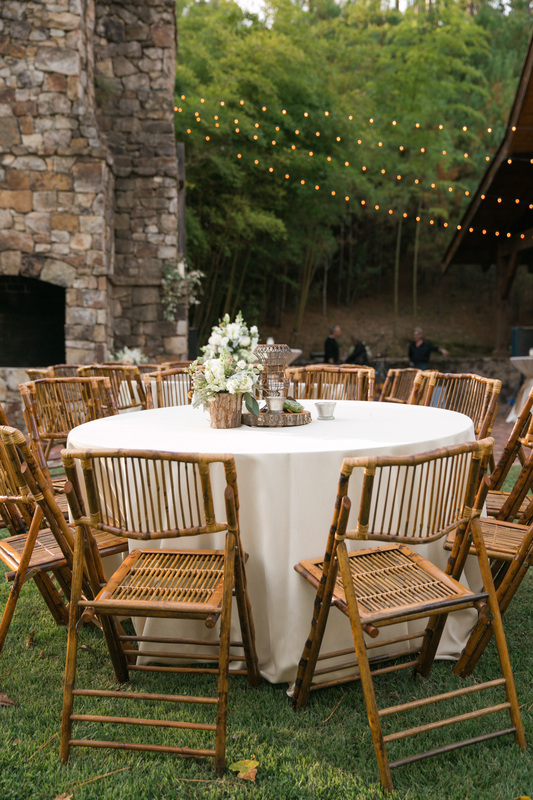 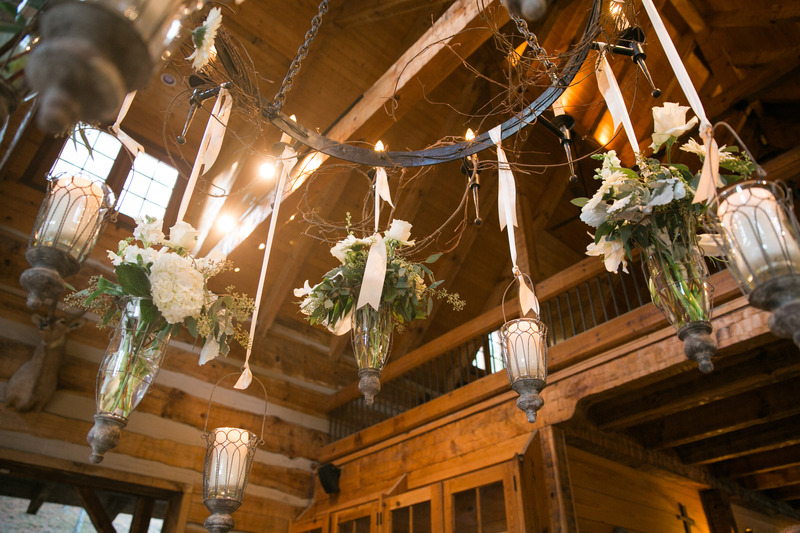 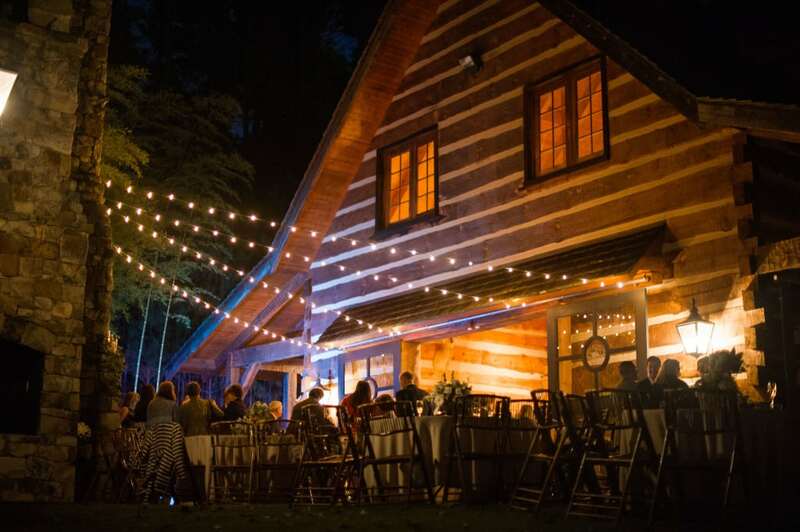 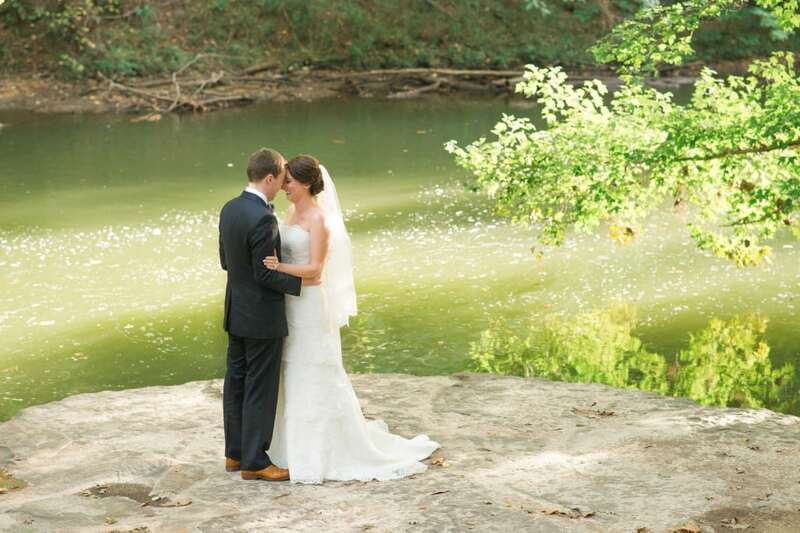 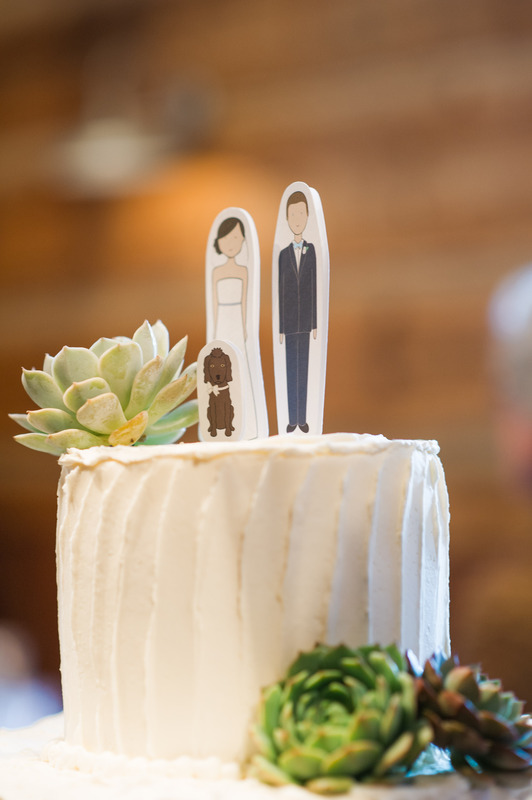 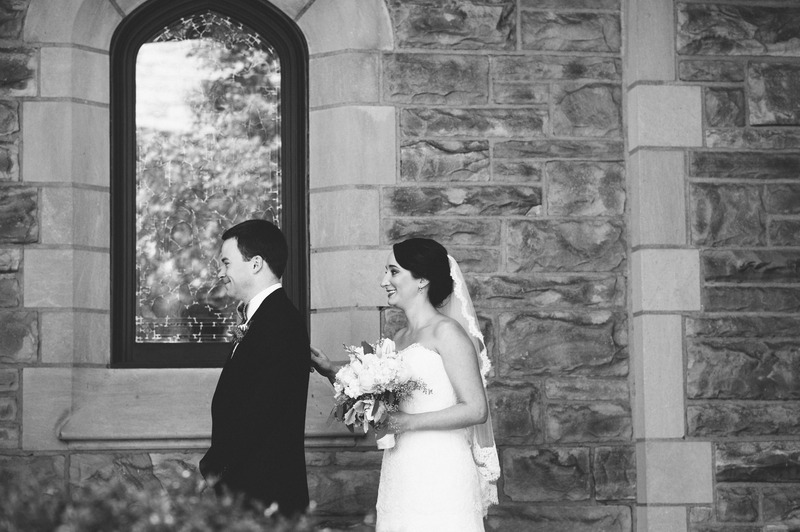 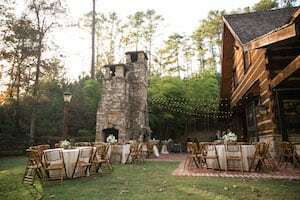 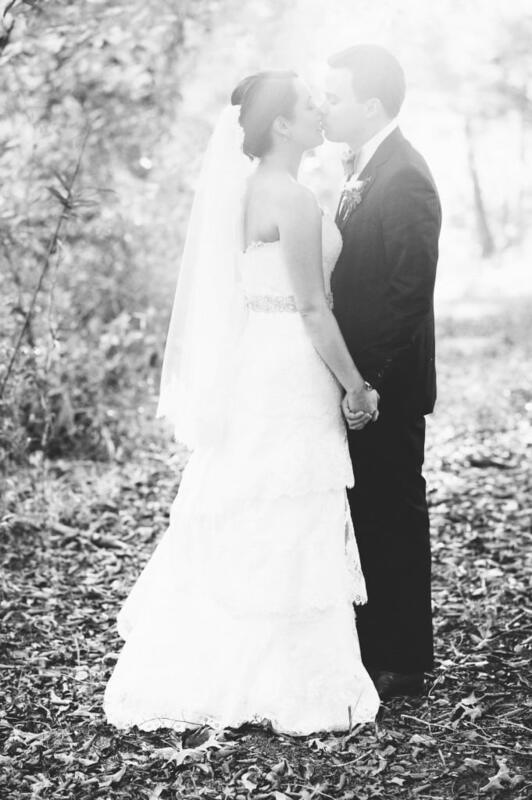 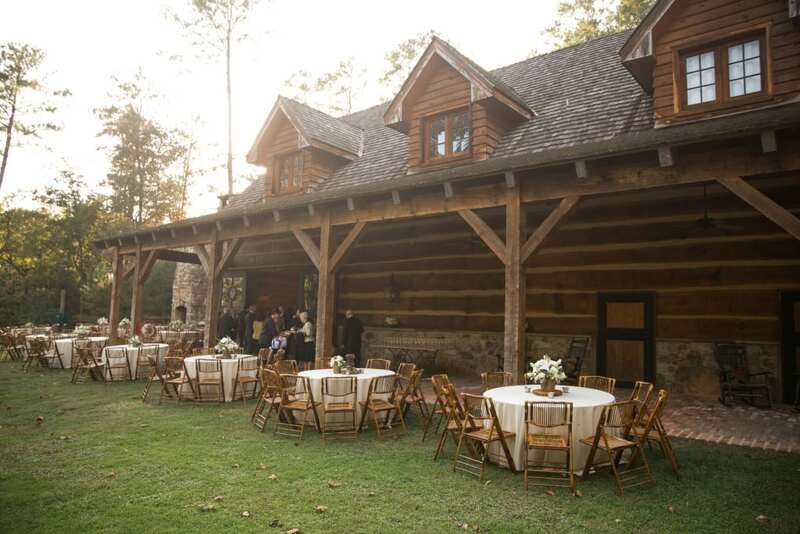 We are in love with this Swann Lake Stables Wedding! 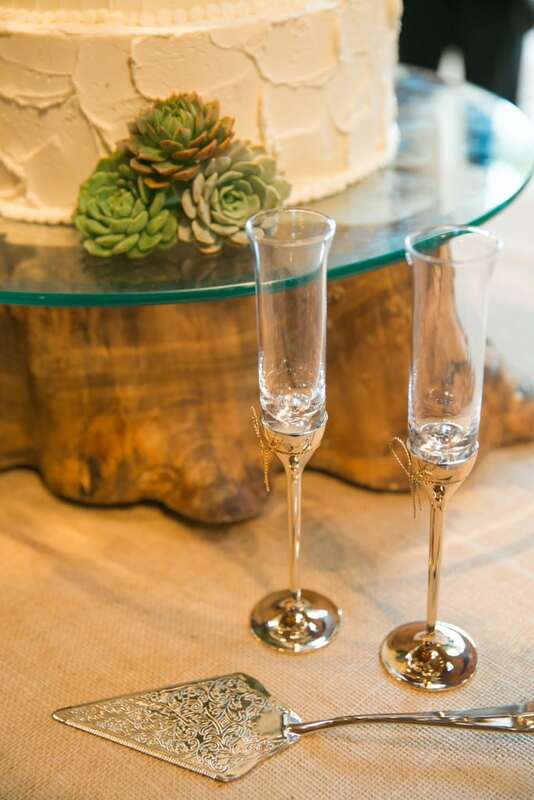 M.Elizabeth Events referred the mother of the bride to us early in 2014 and we began planning Erin and Will’s Fall wedding right away! 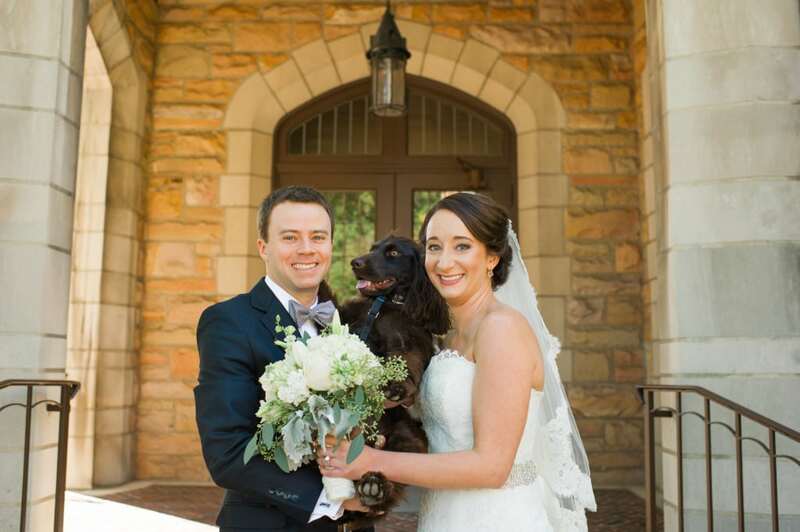 Erin, is a doctor living several states away so Rowena, Erin’s mother, and I met to go over some initial options and used Facetime to let Erin see the ideas we had pulled together. 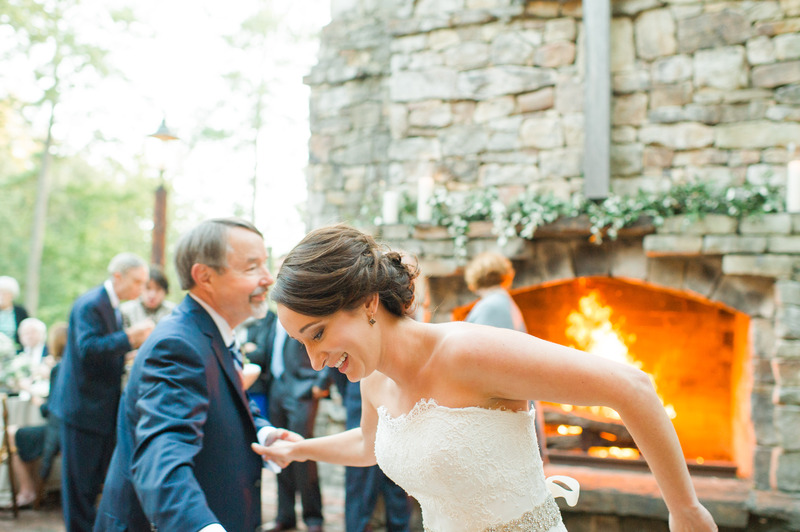 It’s not easy planning a wedding far from home but with technology and a helpful mother, it was a little easier for Erin. 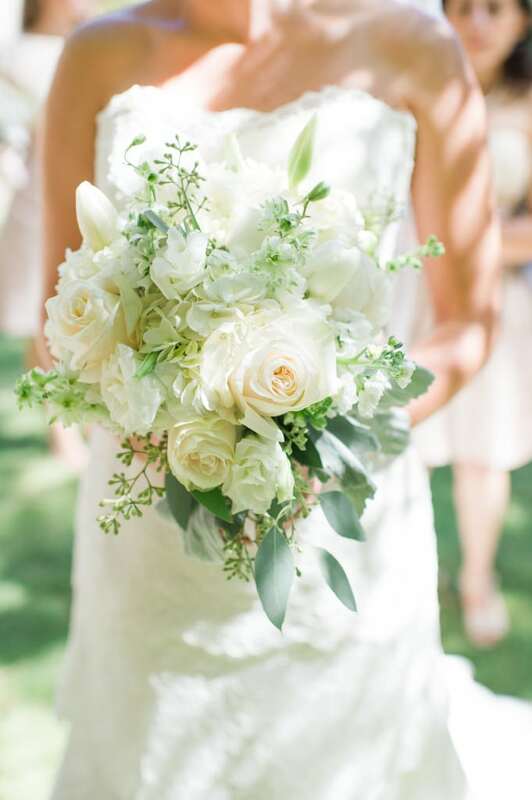 Meet the beautiful bride, Erin, with her bouquet from Flowerbuds. 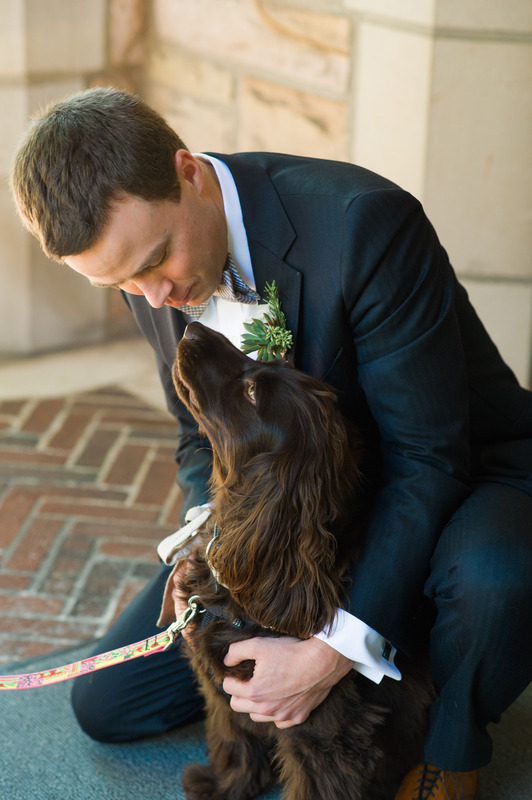 Groom, Will, with their precious pup! 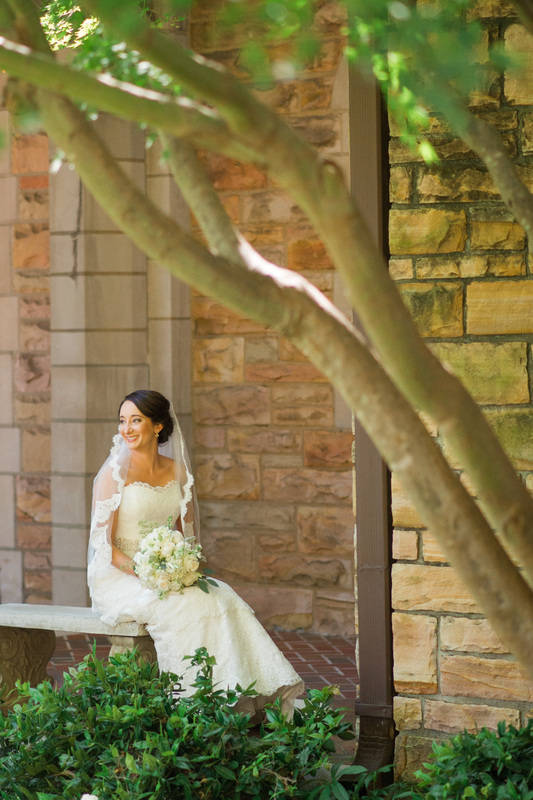 The anticipation of their first look! 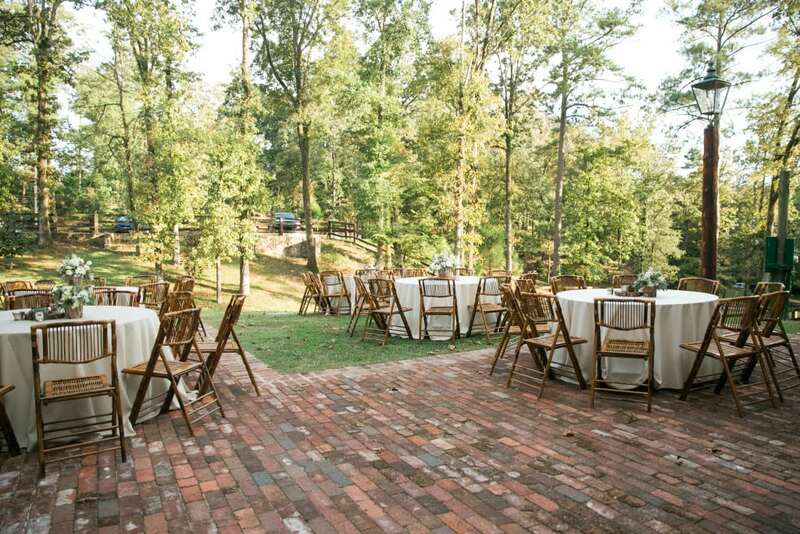 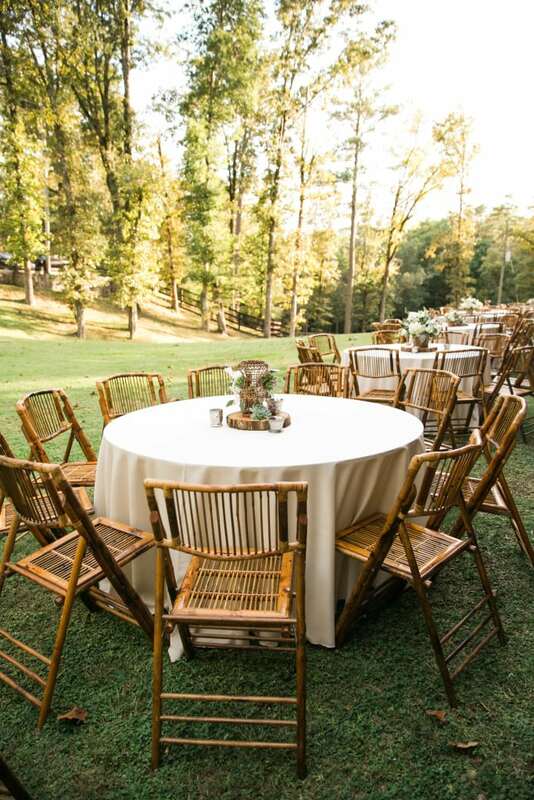 Erin wanted a very natural look for her wedding to compliment the outdoor reception site. Erin initially liked the look of a burlap linen but didn’t want the smell or feel of natural burlap to be bothersome to any of her guest. 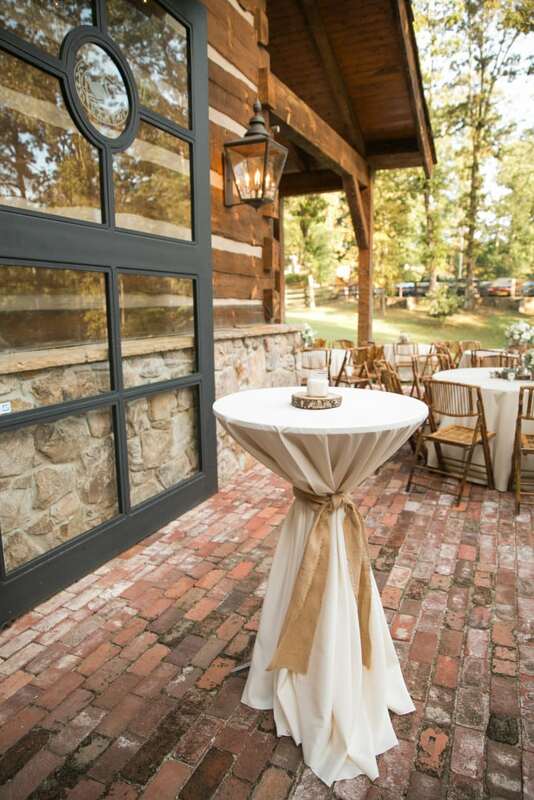 We settled on using a Dupioni table linen on the matte side to offer a softer look that was beautiful and natural! 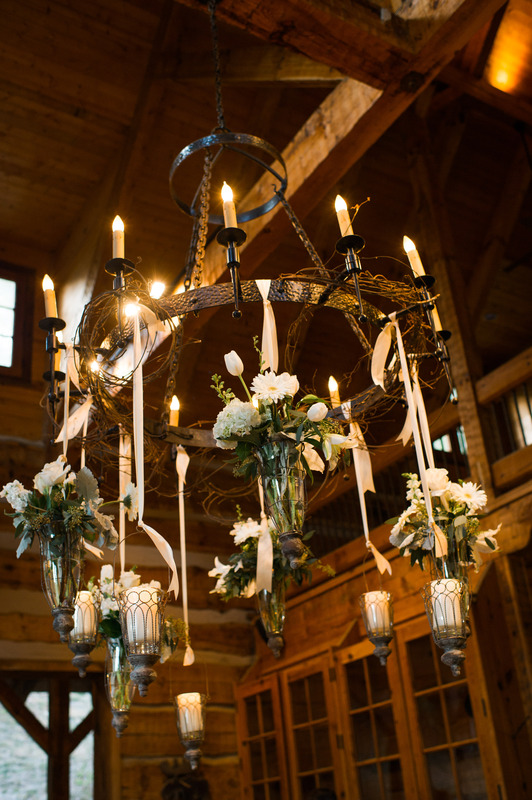 Kelly Cummings of Spindle Photography captured these great shots of the beautiful elements that Swann Lake Stables has to offer. 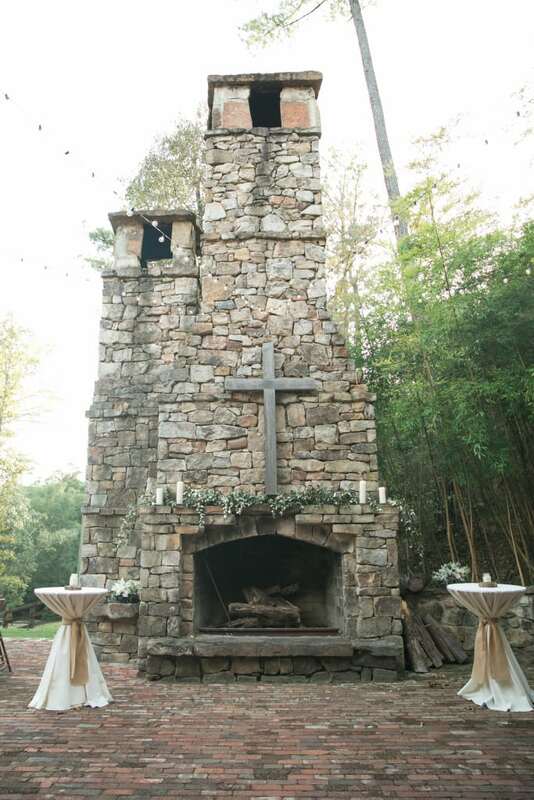 The amazing outdoor rock fireplace as well as the wonderful tree line. 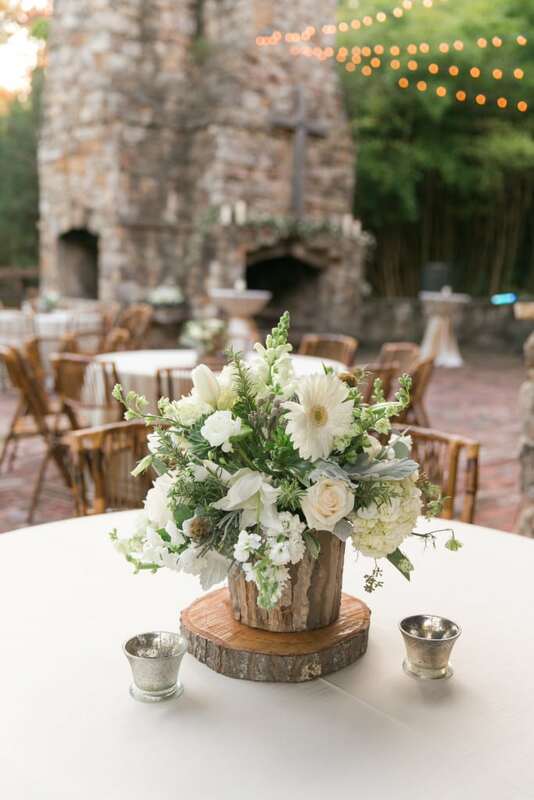 Erin’s family cut rustic wood rounds for the base of the floral centerpieces created by Flowerbuds. 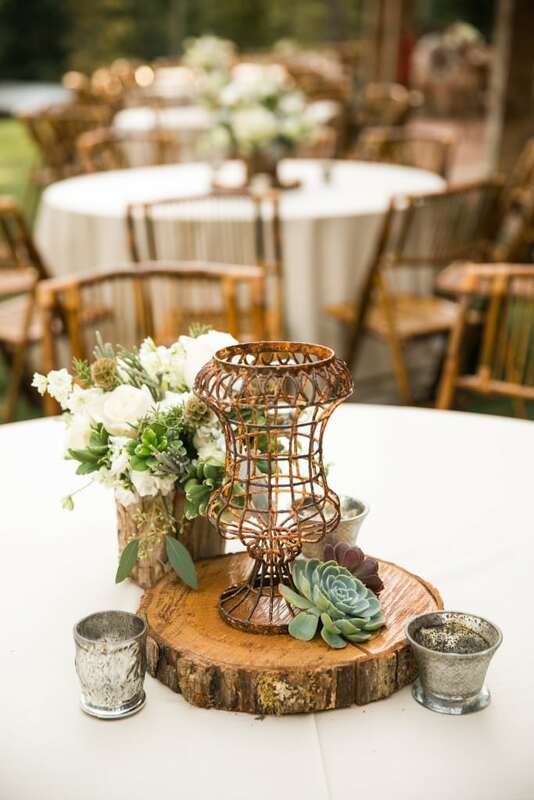 The simple touches of mercury glass votives, succulents and wire accent pieces helped to create the natural feel Erin was hoping to achieve. 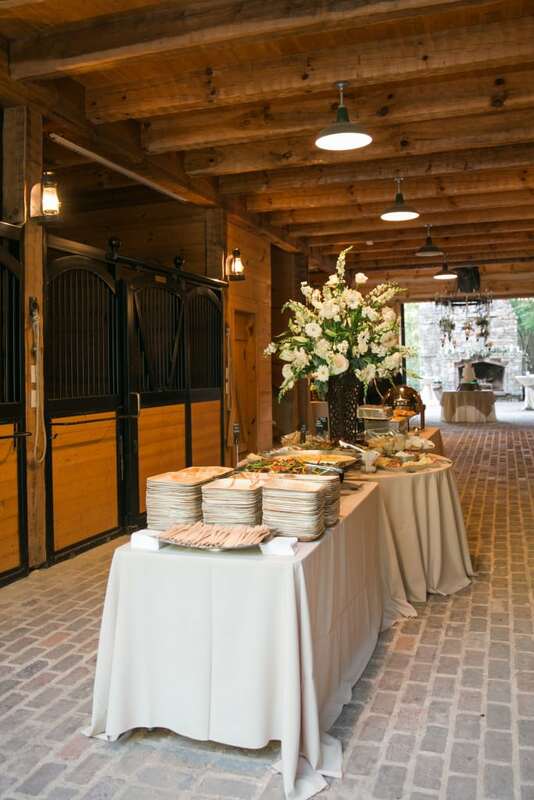 The overall view of Swann Lake Stables is always amazing! 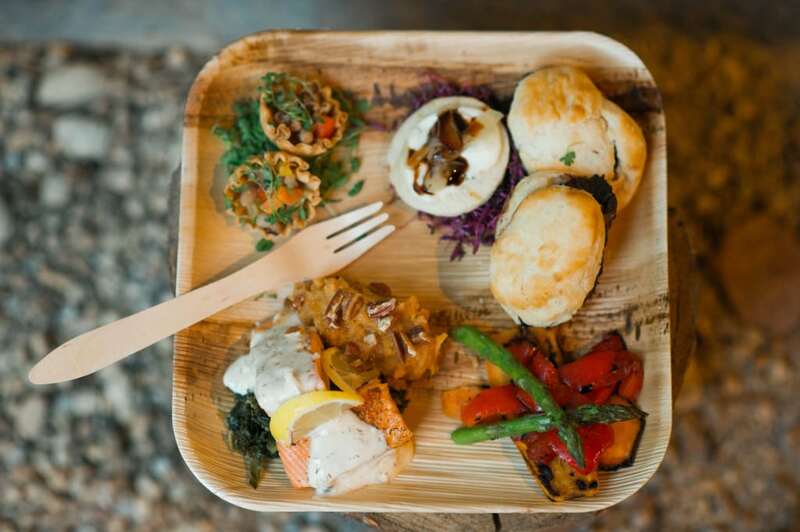 Everything Iz presented a wonderful and delicious meal on these all natural, 100% biodegradable palm plates. 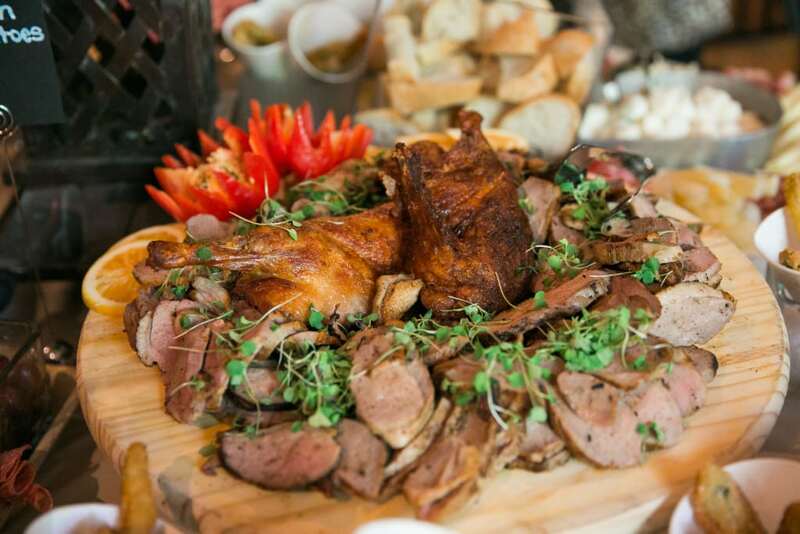 A few menu items featured here are Roasted Beef Tenderloin Madallions, Argentine Grilled Market Vegetables, Alabama Caviar, Pan Roasted Salmon, Soutern Frito Misto (cooked on site) and Mini Chocolate Mousse Bombs. 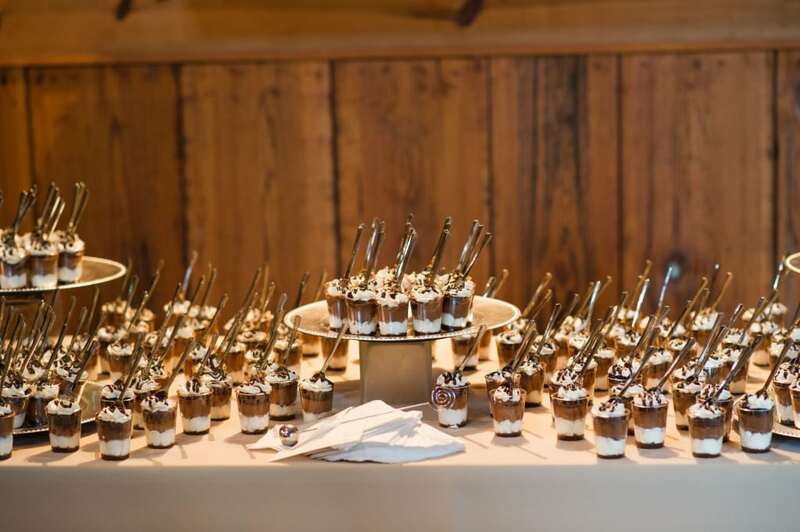 Contact Haley Fuller at Everything Iz for more yummy details! 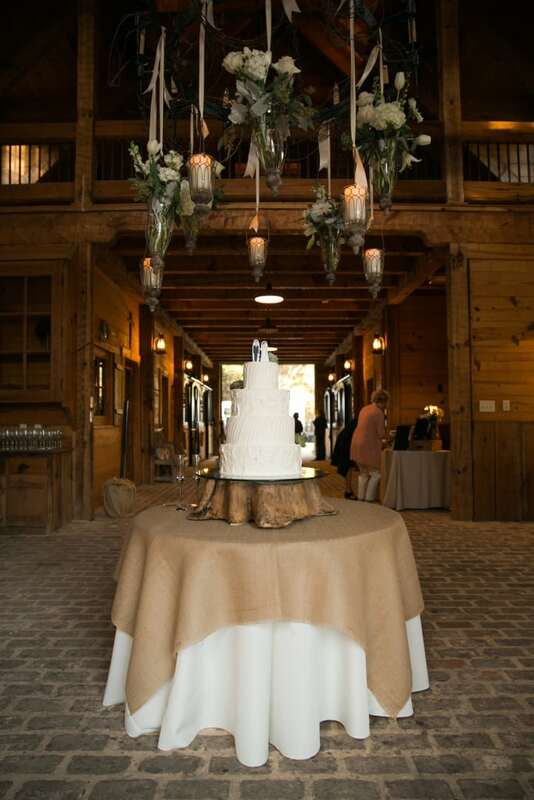 We brought in a few burlap elements with the ties on the highboys, an overlay on the cake table as well as on the favor table. 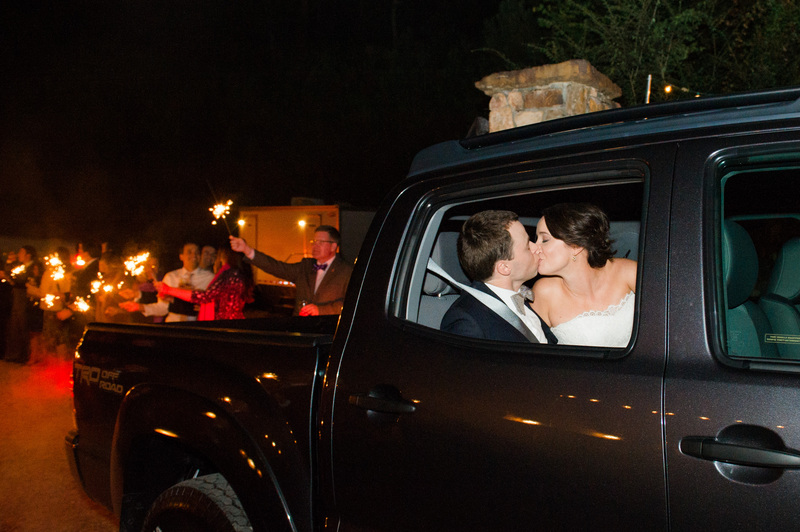 Erin and Will decided against a traditional bar and instead brought in the J. Clyde Fire Truck to serve their guests for the evening! 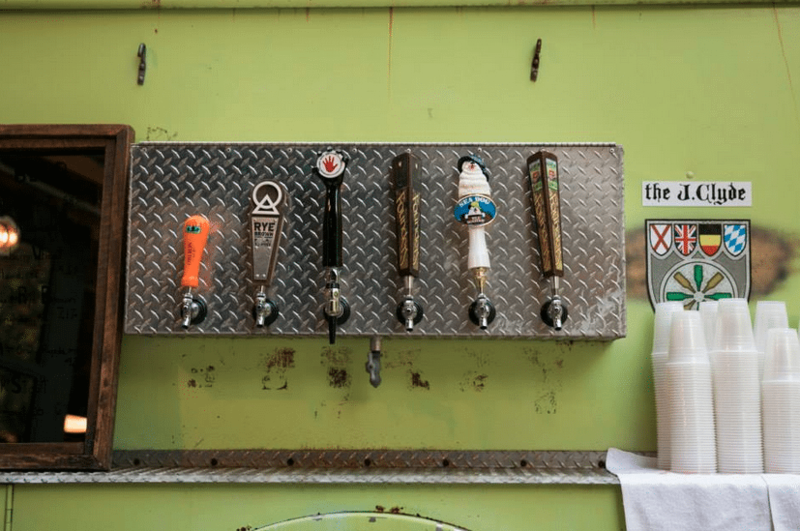 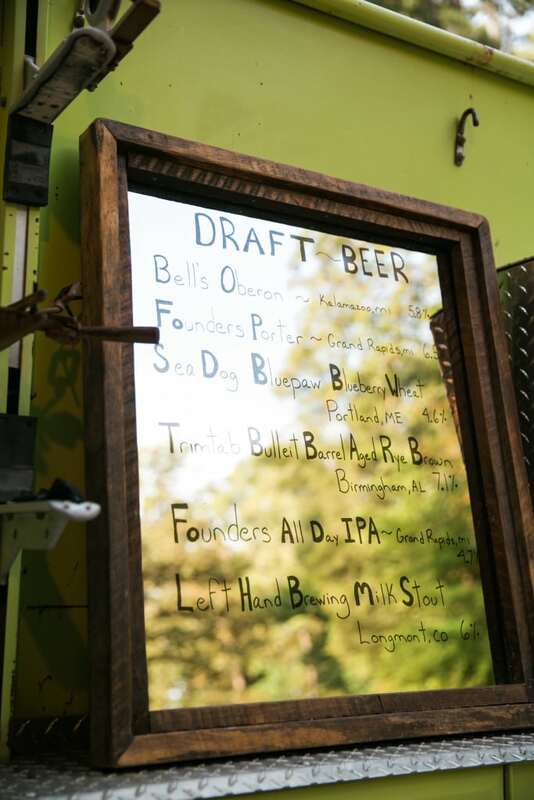 How fun us this old fire truck turned into a traveling draft beer station? 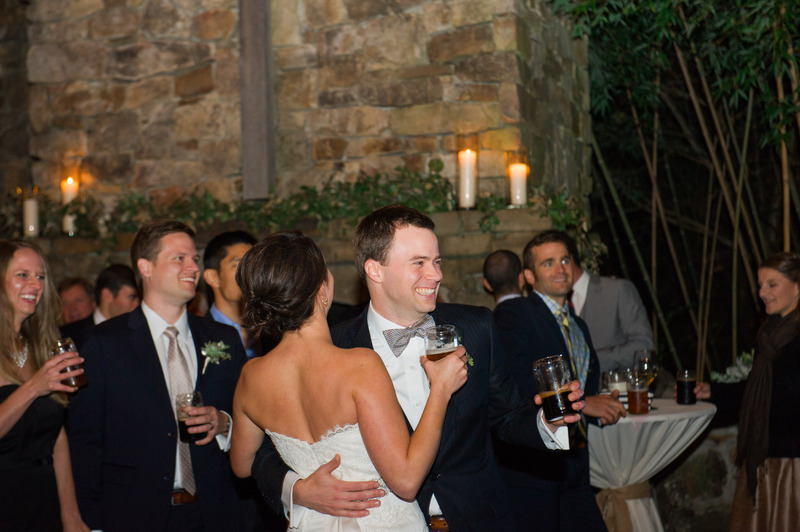 Fun was had by all on the dance floor with Rollin’ in the Hay playing into the the night! 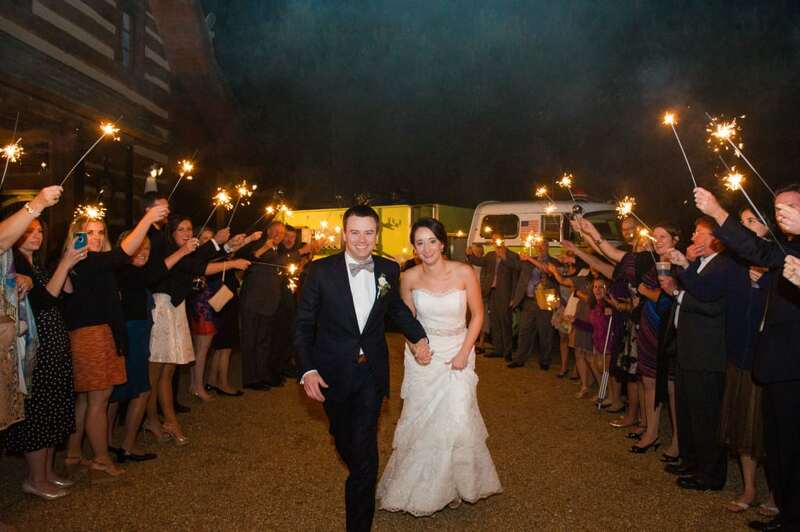 And a sparkler farewell to top of a wonderful wedding and reception!